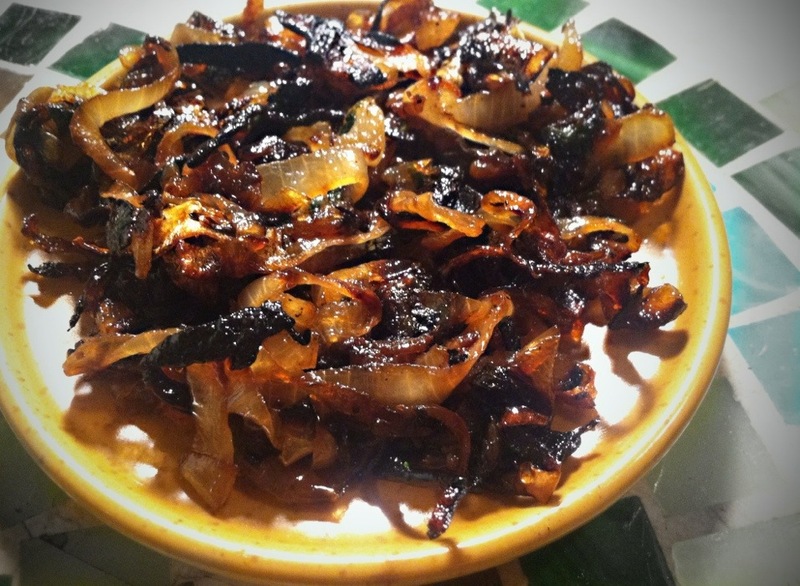 Caramelized onions pair perfectly with nearly every dish – I swear they would taste good sprinkled on ice cream. These take a bit of time, but require little more than patience. The onions shrink down substantially, so double the quantities if you want the leftovers. 1. In a medium pan, heat the olive oil over low heat. 2. Add in the onions and season with salt. 3. Let the onions cook over low heat til completely soft and brown – about 30 – 40 minutes. Stir frequently to keep the onions from sticking to the pan.